David was born in 1971 and raised on the Tsartlip Reserve in Brentwood Bay on Vancouver Island in British Columbia. It is here that David was introduced to Native Art and was inspired to create. He is a member of the Squamish Nation and adopted into the Nisga’a Nation by marriage and now lives in North Vancouver, British Columbia. David is self taught and often turned to books that he found in the libraries to help develop his craft. He carved his first talking stick at the age of twelve and has been working with red and yellow cedar ever since. As David progressed, he moved towards the northwest coast style. 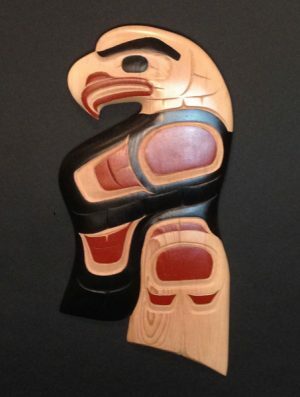 He learned the Tsimshian style and design from master carver Heber Reece. 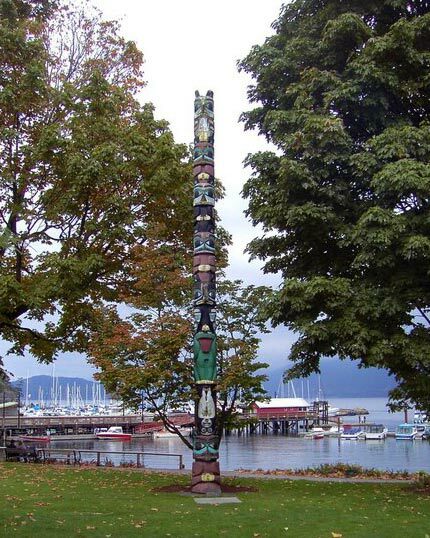 In 2009 David expanded his artistic expression and graduated from the Northwest Coast Jewellery Arts program under the watchful eye of renowned Haida artist Dan Wallace.